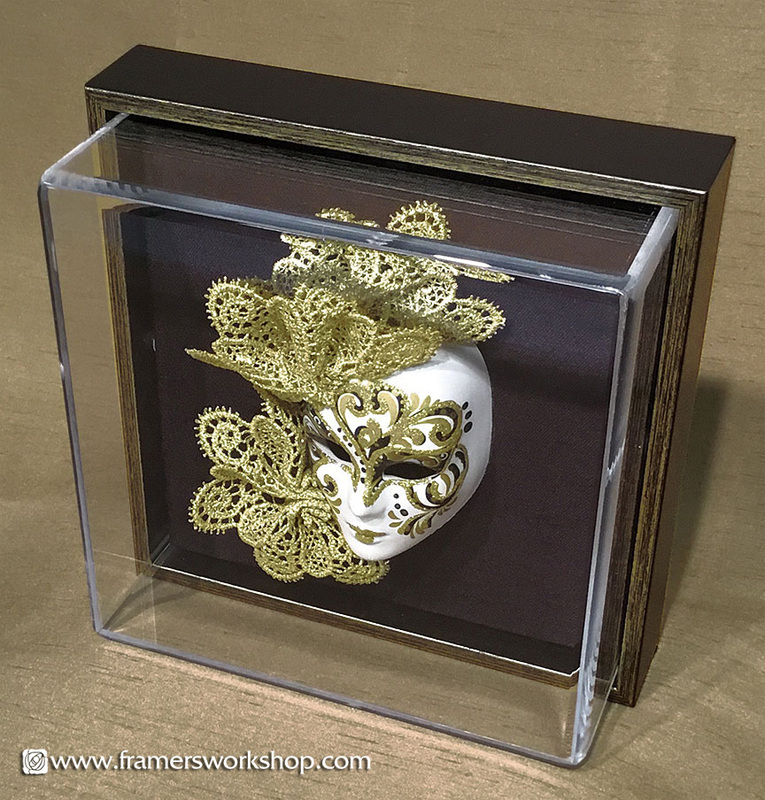 A porcelain doll's mask in an Acrylic Box Frame with a Floater Frame. 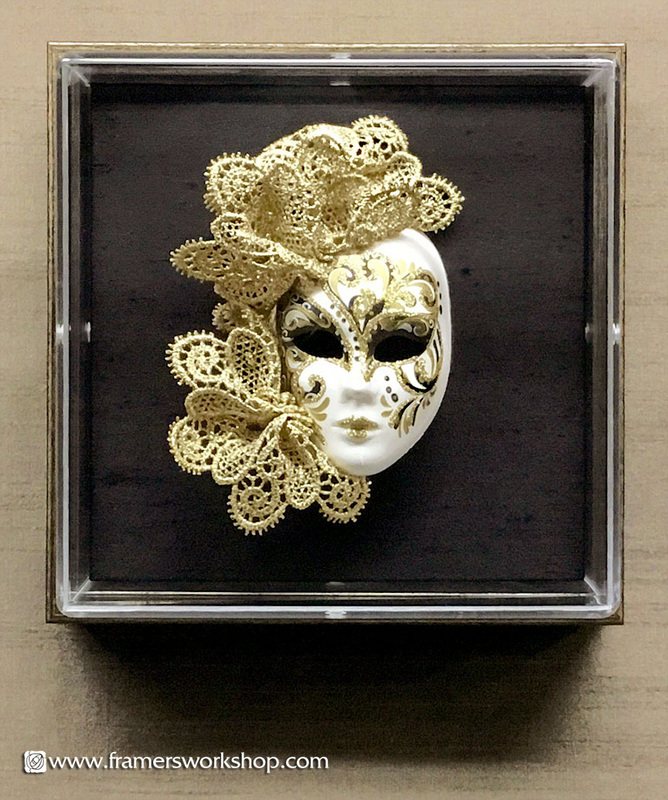 Small porcelain mask floated on a black silk backing with a "floater" frame edge. Floater frames can be used with acrylic box frames for a variety of reasons. In this case, it serves as a design element. In some instances it can be used as a container to support a removable upright acrylic box frame. See this example.